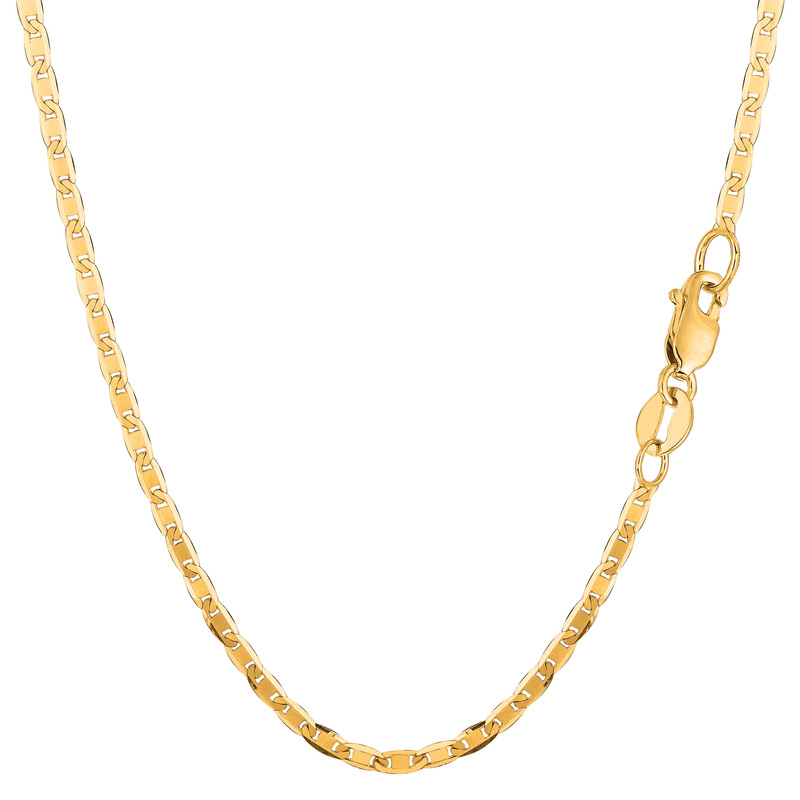 ›10k Yellow Gold Mariner Link Chain Bracelet, 2.3mm, 10"
10k Yellow Gold Mariner Link Chain Bracelet, 2.3mm, 10"
This 10K yellow gold Mariner link chain offers a modern bracelet look. At a 2.3 mm thickness this chain bracelet is available in an 7 and 10 inch length. This Mariner link chain is high polished.